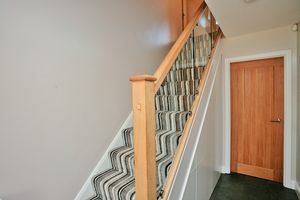 Double glazed door to the front, inner door to the garage and a door to the hallway. 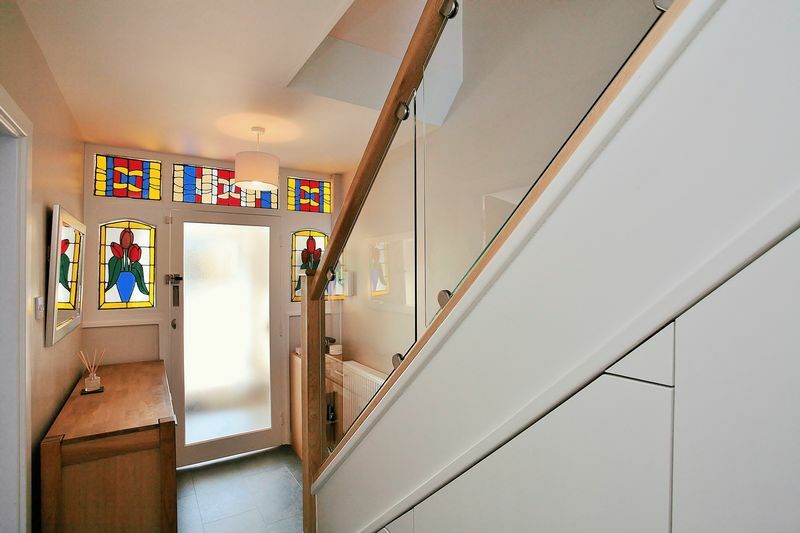 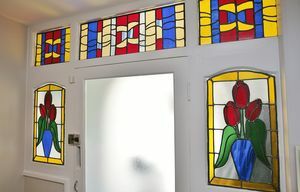 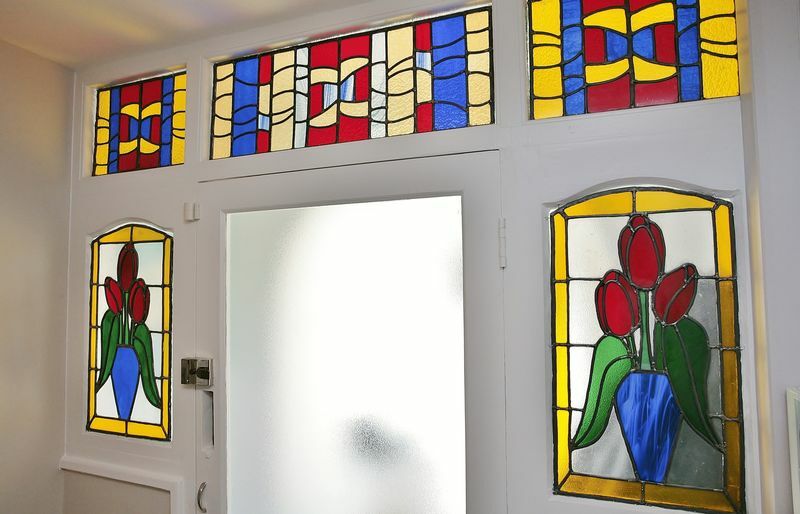 Original stained glass door and windows, stairs to first floor with an oak and glass bannister and cleverly designed discreet storage beneath, doors to the sitting room. 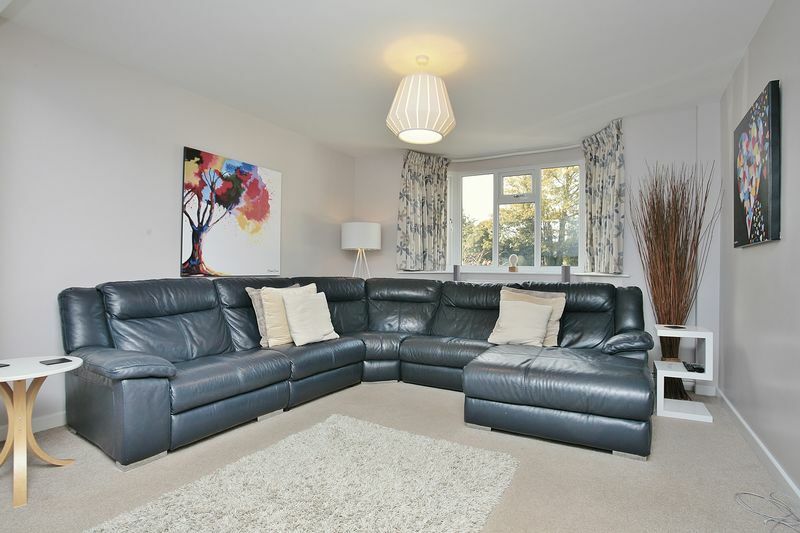 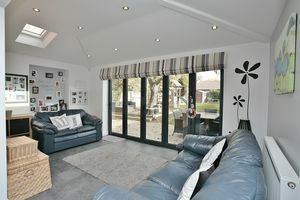 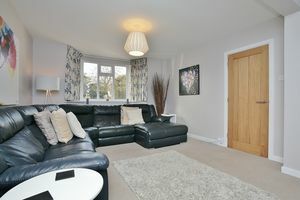 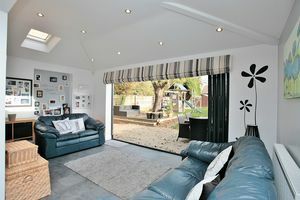 A spacious and well presented sitting room with a bay window to the front. 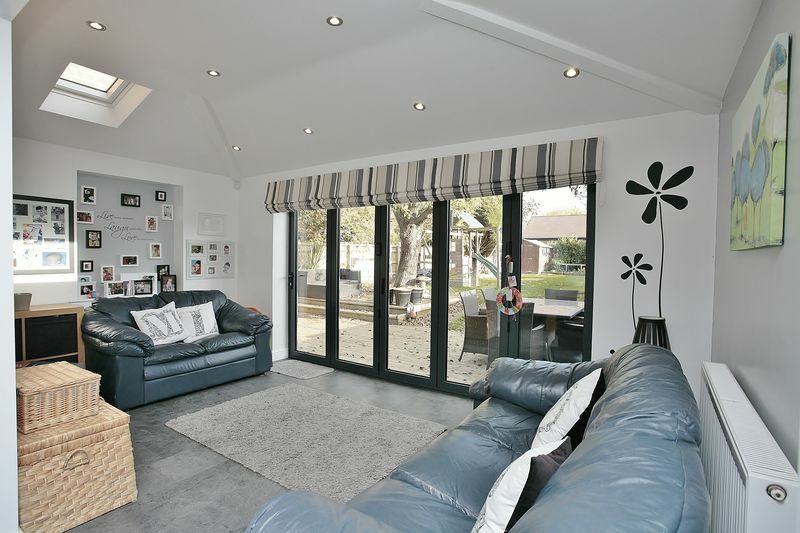 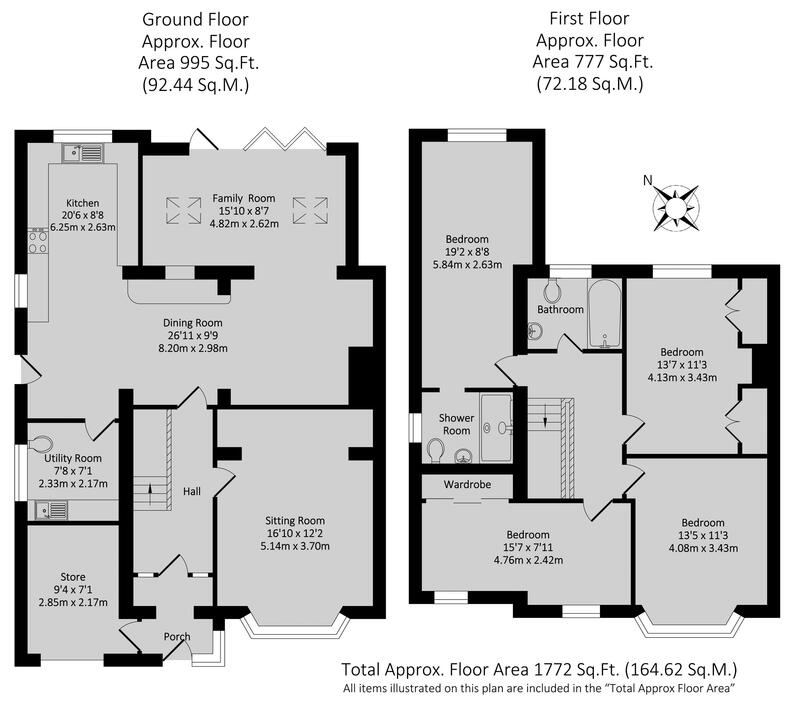 A superb open plan room with clearly defined zones. Entering via the hallway into the breakfast/dining area featuring a built in breakfast bar with storage beneath and ample space for a table and chairs. 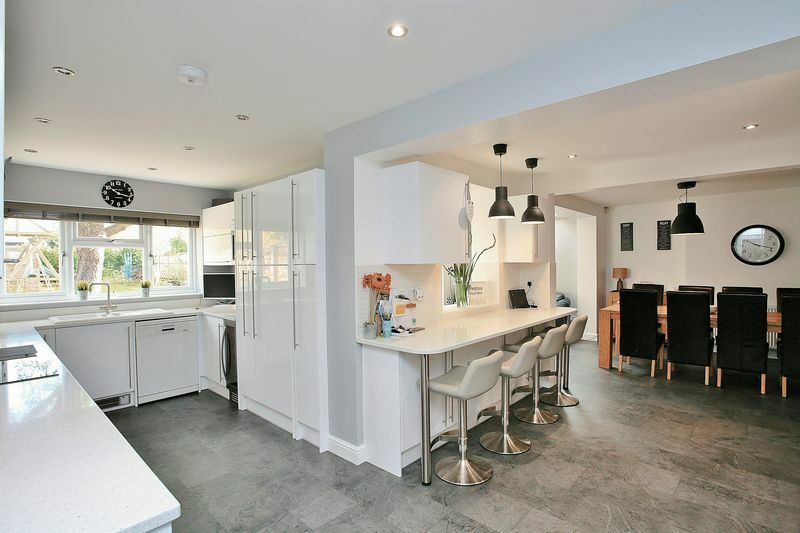 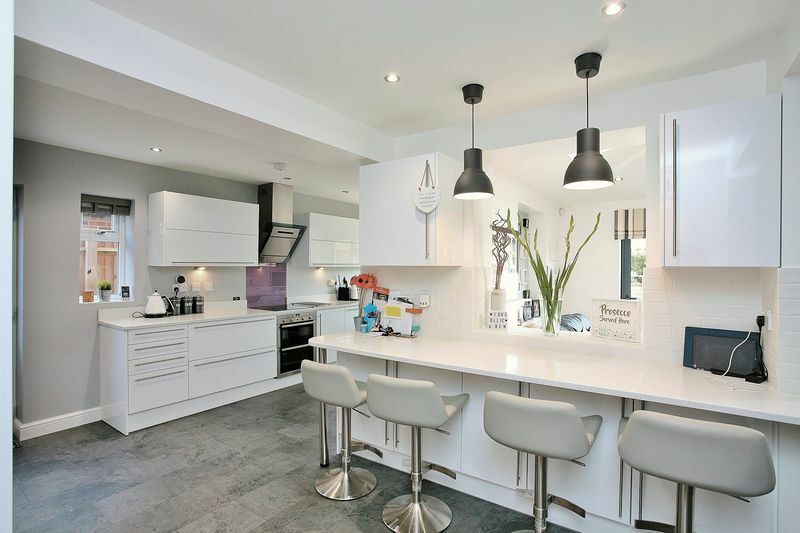 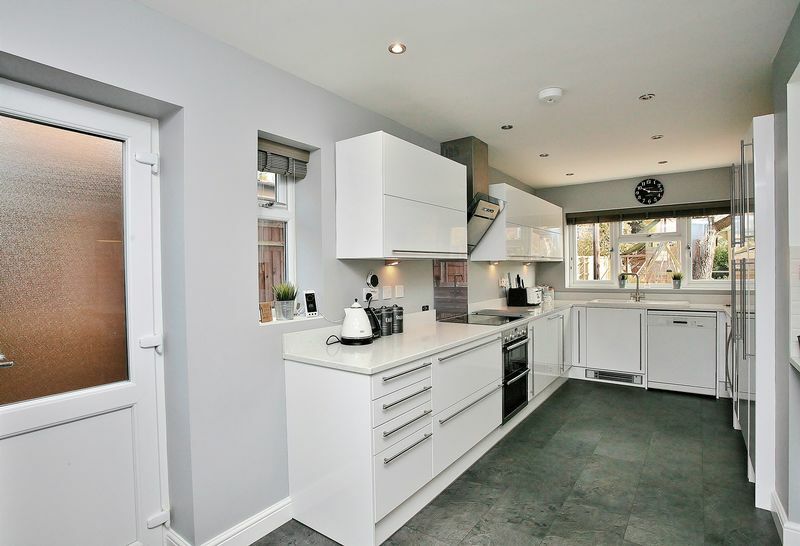 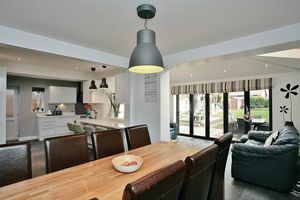 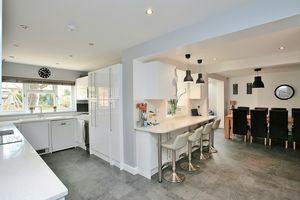 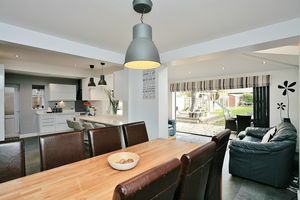 The kitchen is well fitted with high gloss slabbed eye level cabinets, base units and drawers with work surfaces over, an inset sink and draining board, an induction hob with an extraction hood over and a double oven beneath. 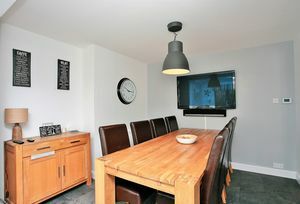 There is an Integrated wine fridge and a microwave oven, space for a fridge/freezer, door to the side and access to the utility/cloakroom. 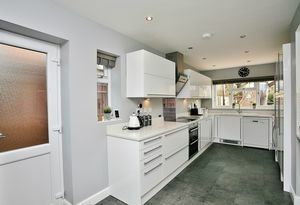 Fitted with eye level cabinets and base units and drawers, work surfaces, built in sink, space and plumbing for a washing machine and tumble dryer. 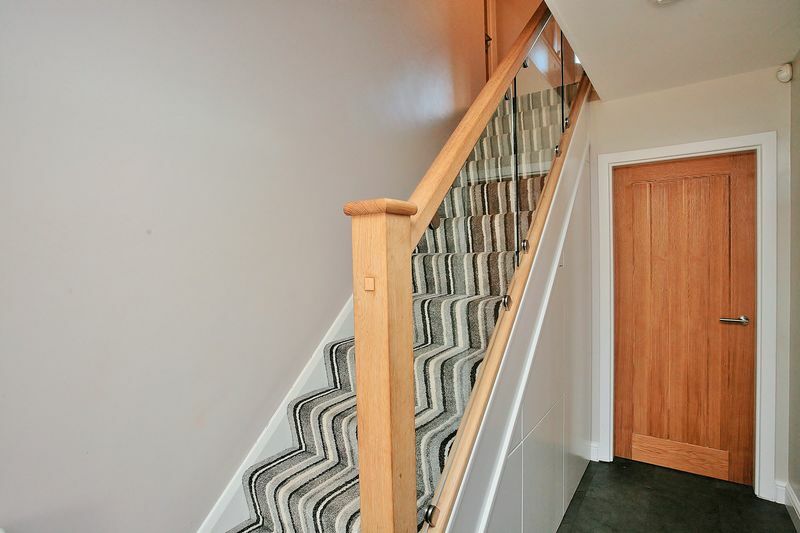 A spacious landing with and oak and glass bannister and a hatch to the loft space. 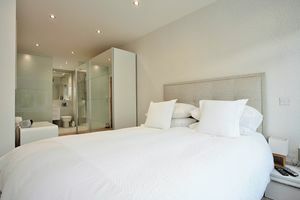 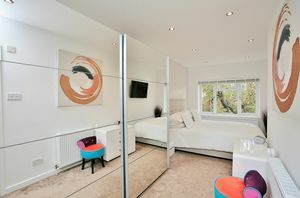 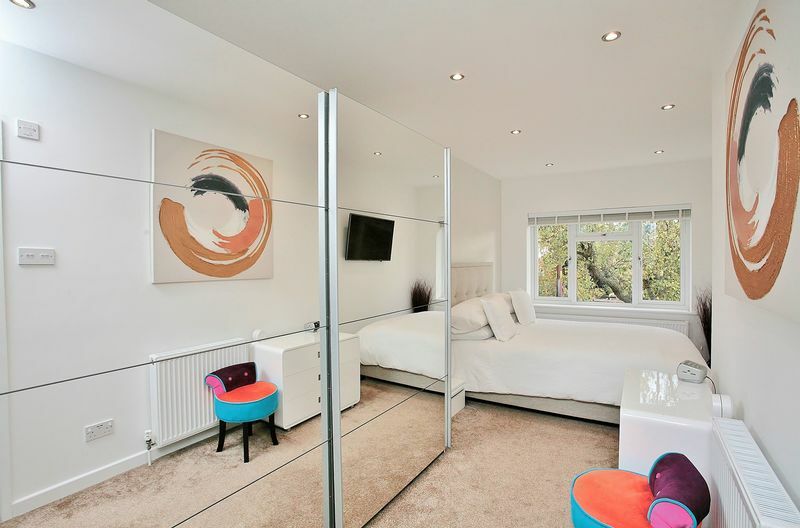 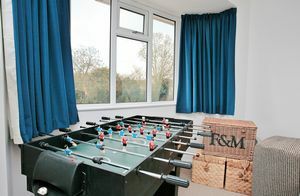 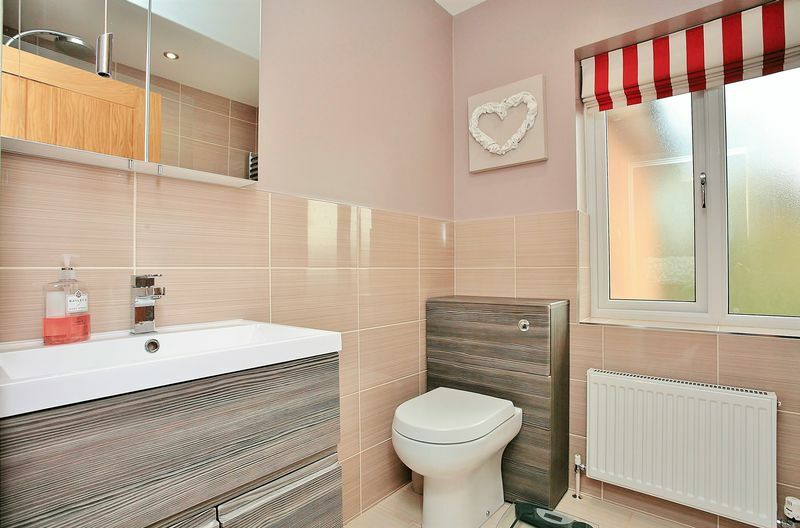 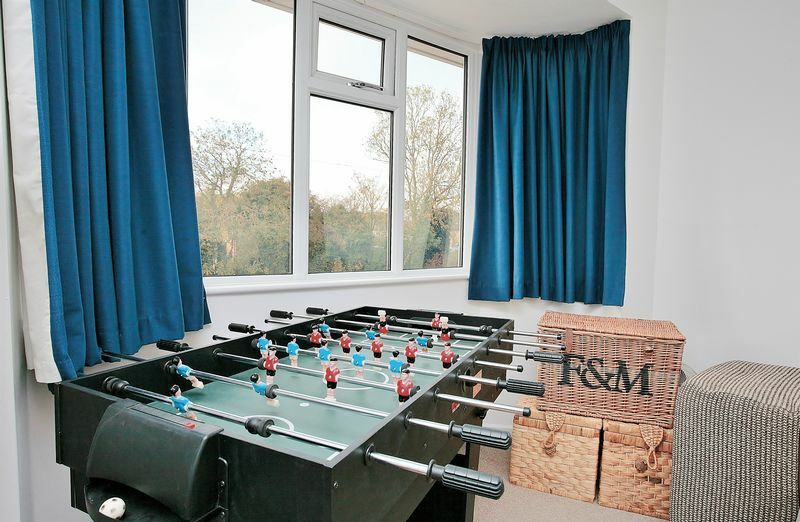 A large double room with a dressing area and a high quality en-suite shower room. 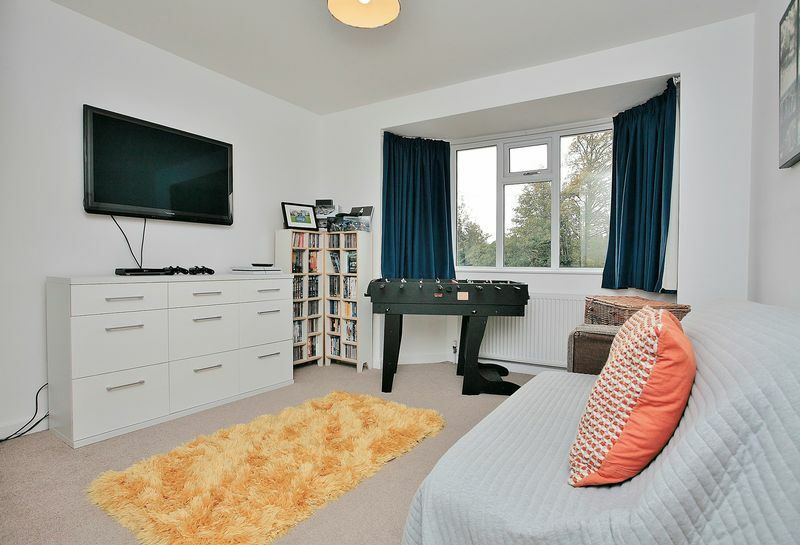 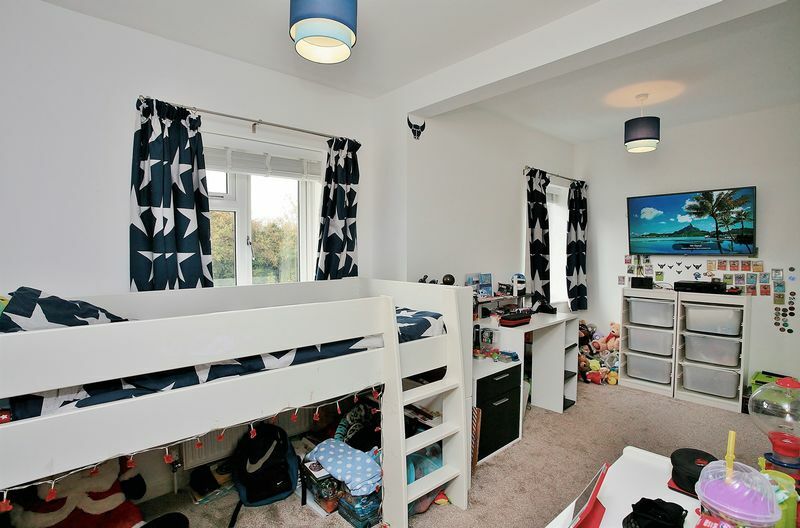 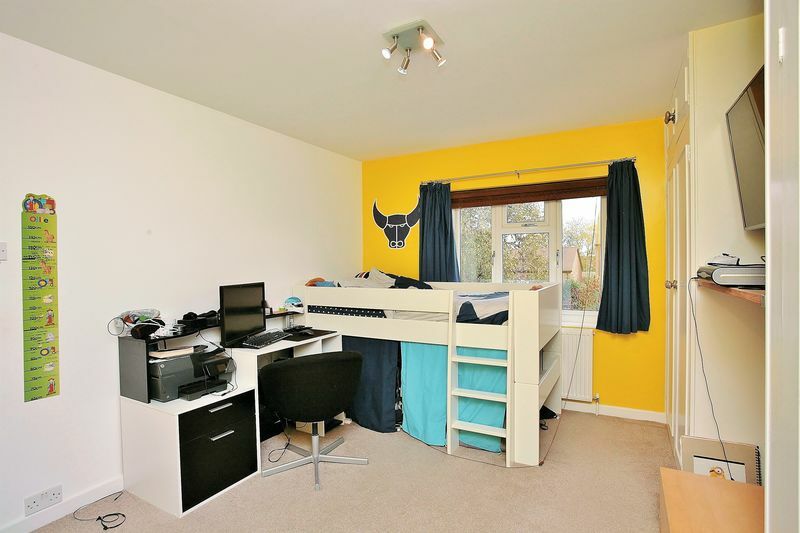 A double room with two built in wardrobes and a window to the rear. 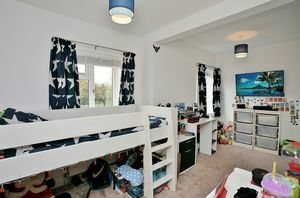 A double room with two windows to the front and a built in triple wardrobe. 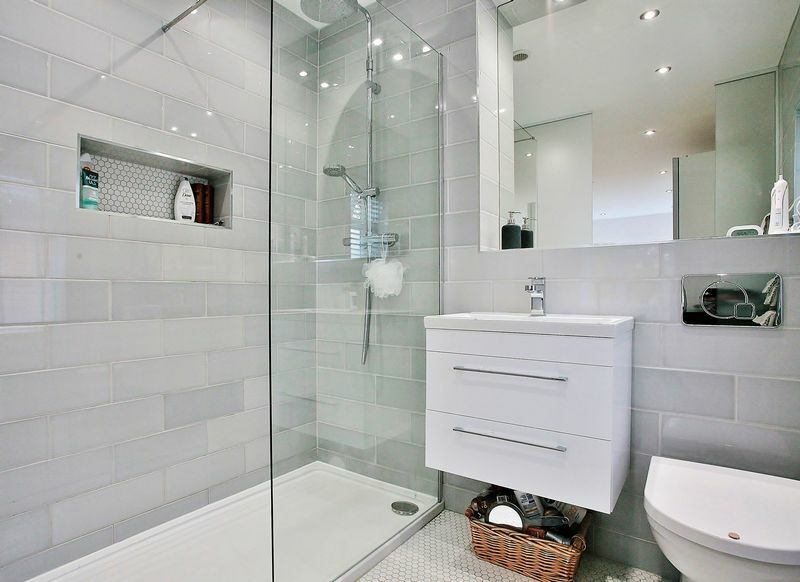 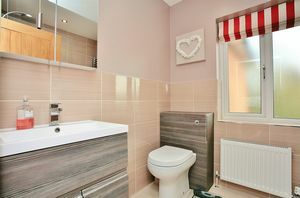 Re-fitted with a modern white suite comprising a panelled bath with a shower over, a wash hand basin with vanity unit, W.C. 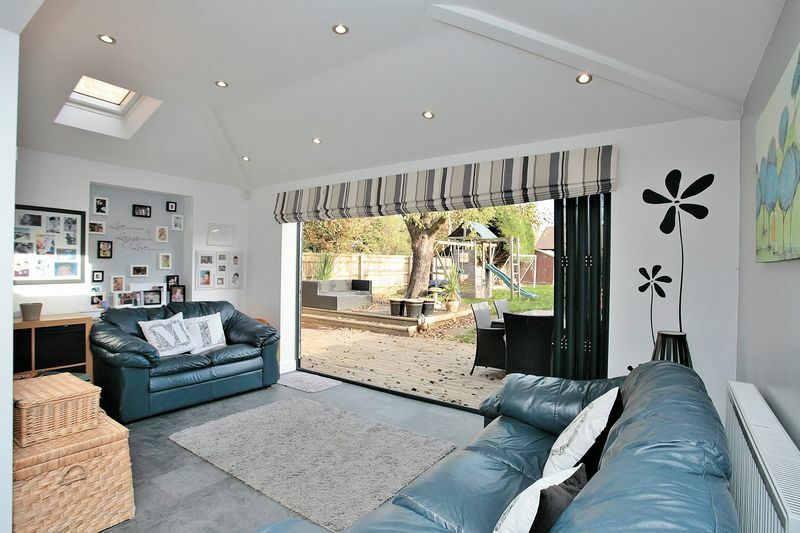 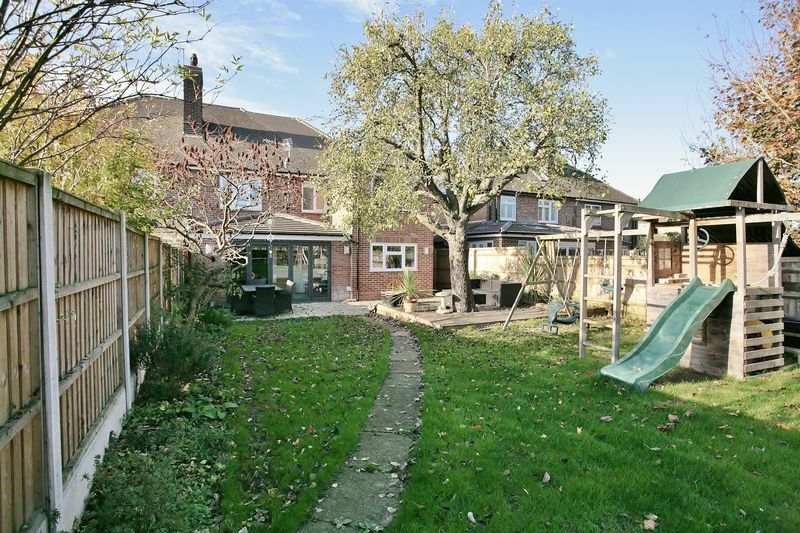 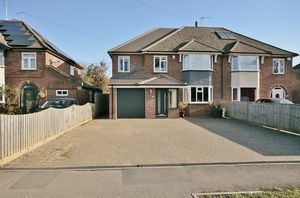 Located to the side with an electric roller door to the front and a door to the porch. 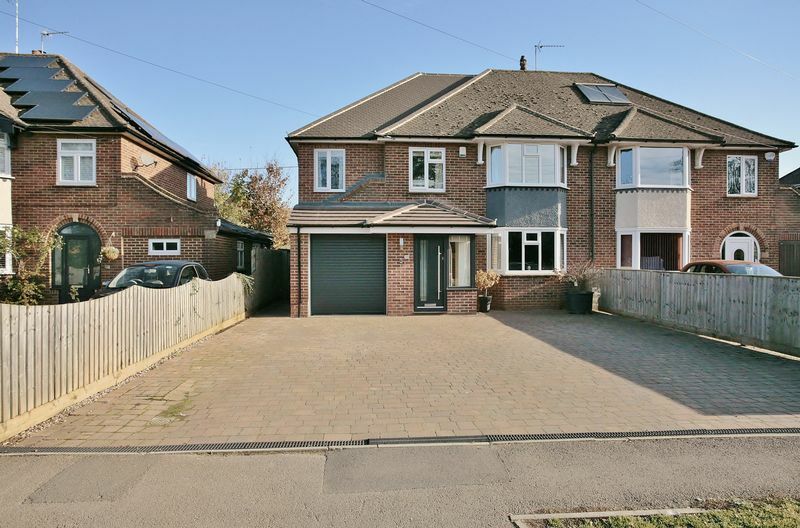 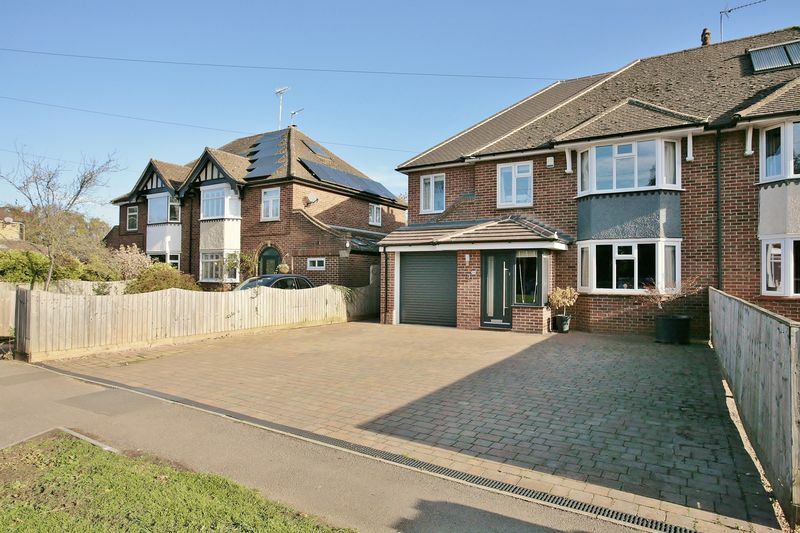 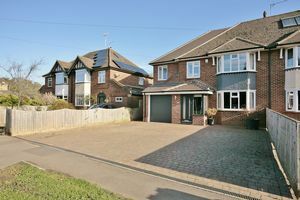 To the front there is a high quality block paved driveway which provides parking for several vehicles. At the rear there is a large mature garden that extends to approximately 100 feet in length. 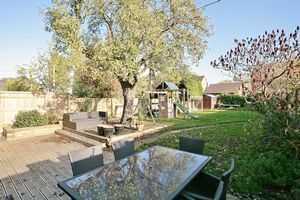 It is predominantly laid to lawn with a wooden deck adjoining the house and well stocked flower and plant borders, mature trees and a large wooden shed.